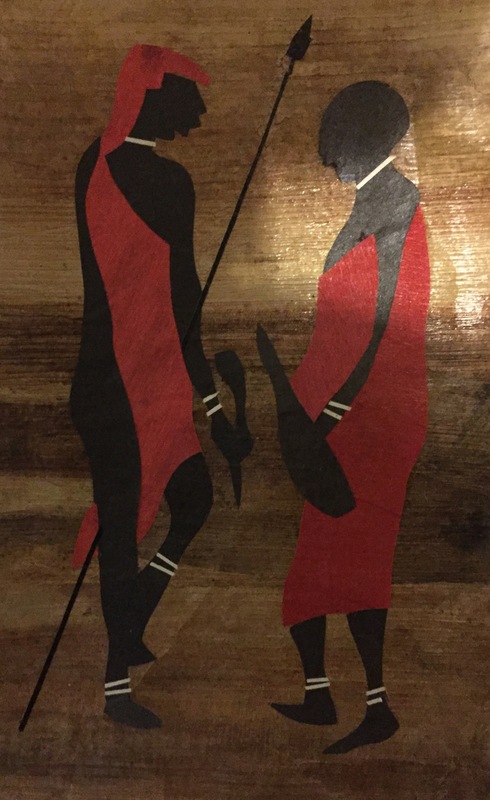 I bought this piece of artwork in Mombasa, Kenya, East Africa during a visit. I have loved the piece ever since. It’s very simple. Didn’t break the bank but for some reason I like it a lot. I guess maybe it’s due to its simplicity. Looking at it it tells a story that can be interpreted however I like. I could critique their dress. I could ponder what they’re talking about? Are they preparing for a fight? Going hunting? Or simply learning from each other? No matter what, the simplicity of this photo sparks my interest. Not only that, but it also is a reminder of a trip to a beautiful land. The land of Roots. I see a tribal leader and his shaman sharing the stories of their successes. Beautiful piece. Is it a tapestry?